Sardines, herring and other small fish species are the foundation of the marine food web—they're essential food for birds, marine mammals and other fish. But globally, demand for these so-called forage species has exploded, with many going to feed the livestock and fish farming industries. Some of these species are already heavily fished, and it will take time for them to recover. But other forage species have not yet been commercially targeted. And this week, the U.S. government passed measures—backed by environmentalists as well as fishermen—to protect these critical fish and invertebrate species in waters off the U.S. West Coast before they're overfished. A rule passed Monday by the National Marine Fisheries Service makes it illegal for commercial fishermen to develop new fisheries for hundreds of forage species unless scientists have first determined that targeting them will have no negative impacts on the marine ecosystem, existing fisheries and fishing communities. Forage species include such creatures as lanternfishes, Pacific saury, silversides, eulachon, surf smelt and neon flying squid. Some of these species have hardly been fished at all. They may live in deep water far from shore and are relatively absent from public awareness. "Just because people haven't heard of a lot of these species yet, it's really only a matter of time and economics before it becomes viable to put out huge nets that catch the entire base of our food web," Geoff Shester, California Campaign Director with the group Oceana, says in an interview. 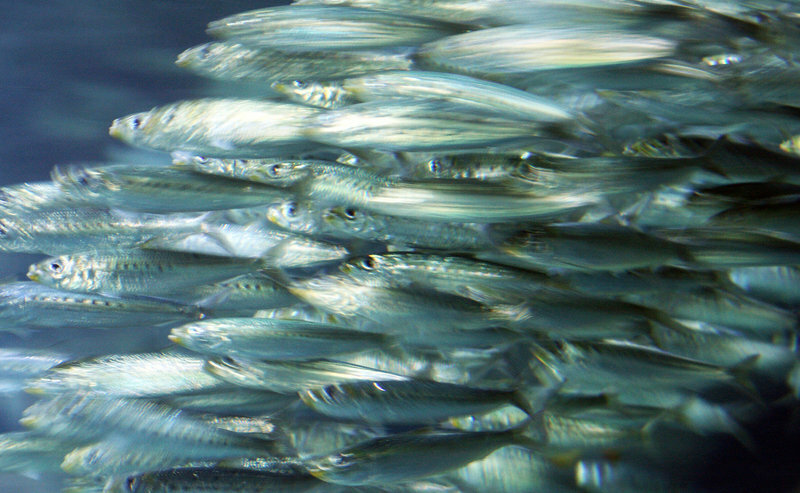 Other forage fish species are already in trouble. Pacific sardines are at their lowest numbers in decades. Pacific herring have also declined. 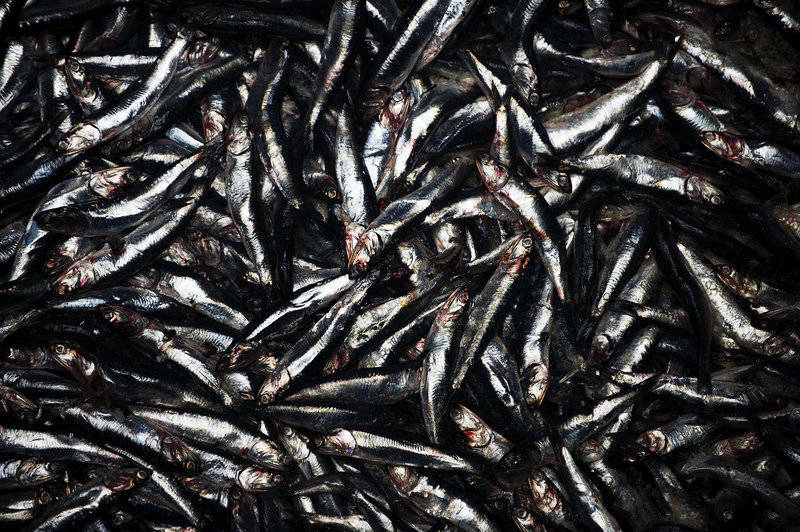 In the waters off Peru, the anchoveta has been heavily fished. Shester says demand for forage species, which are potentially easy targets due to their tendency to gather in dense schools, is growing as aquaculture and livestock industries expand. A study published last year in Reviews in Fisheries Science & Aquaculturereported that aquaculture production doubled from 2000 to 2012, when about 55 million tons of fish and crustaceans were reared on farms. These animals rely heavily on fishmeal and oil, and in 2012, about 18 million tons of wild-caught seafood was rendered into these products, according to the report. "The demand for fish oil and fishmeal is going through the roof," Shester says. The new rule comes on the heels of two similar initiatives, both passed in 2009. One prohibits targeted commercial fishing for West Coast krill, an important marine food source for which fishing interest has rapidly grown in other parts of the ocean. Another law limits commercial fishing in parts of the Arctic Ocean as global warming melts sea ice and makes the region accessible to vessels. Yvonne deReynier, senior resource management specialist with the National Marine Fisheries Service, says lanternfishes are one of the most ecologically important groups of fishes that will benefit from the new protections. Lanternfishes, also called myctophids, may be the most abundant vertebrate group on the planet in terms of biomass, or weight. According to a report by Oceana, the 246 species of myctophids in the ocean represent about two-thirds of the biomass, or weight, of all deep sea fishes. But large natural abundance of lanternfishes and other forage species doesn't necessarily buffer them against overfishing. "We don't know what the effects of fishing on these species could be in 50 years, but we aren't taking any chances," says Anna Weinstein, marine program director for Audubon California, one of the groups that supported the restrictions. She says saury and neon flying squid have already become subjects of commercial fishing interest in other nations. "So this action couldn't have come at a better time," Weinstein says. The forage fish protections affect the band of water between 3 and 200 miles from shore off the coast of California, Oregon and Washington – an area covering about 280,000 square miles. Weinstein says the rule will have a wide array of trickledown benefits for fishermen, marine mammals and seabirds. A great deal of conservation effort and money, she says, has already been focused on protecting islands where birds like albatrosses, puffins and shearwaters breed. Now, she says, their key food sources are protected, too. Scientists around the world have endorsed the idea of protecting important forage species before they become exploited. A 2012 report from a group of 13 scientists called the Lenfest Forage Fish Task Force called for paying closer attention to the vulnerabilities of forage fishes and how overfishing these species can negatively impact many larger species that prey on them. According to the report, titled Little Fish, Big Impact, overfishing has contributed to the declines of the Peruvian anchoveta, Chesapeake Bay menhaden and other ecologically critical species. The authors call for setting lower catch limits for important forage species while boosting the minimum biomass that must be left in the water. Oceana's Shester says the new policy is long overdue and that many overfishing crises, including the current collapse of the Pacific sardine, could have been avoided if fishery regulators had taken a more precautionary approach to management years ago. "With Pacific sardines, the fishery's managers waited until numbers were at 10 percent," Shester says. "We saw warning signs that the fishery was collapsing five years ago, but only when it had collapsed did we do anything." Protecting forage species now, he says, doesn't put them off limits forever. "It just means that we need to take a step back before we proceed and start catching them," Shester says. "It puts the burden of proof on the fishermen to show beforehand that they aren't going to harm the ecosystem if they catch these species, and only then can they put nets in the water."